Thursday, January 24, sometime after 7pm, at the Cafe Frascati literary open mic (for writers of stories and poetry) in downtown San Jose (315 S 1st St.), I will be the headliner. That means I am on stage for about 15 minutes instead of the usual 4-5 minutes for the many and various storytellers and poets. I will perform The Intellecta Rhapsody, where Super Holly Hansson gets into a big argument with her boyfriend’s Batman-esque car (she punches a hole in its dashboard, it shoots her in the face like Daffy Duck and Elmer Fudd), and then she has to team up with the car to defeat a gangster and his gang (think Edward G. Robinson, “Yeah, yeah, Rocky got you good! Yeah! Yeah!”). I will do some fun voices: robot car, Patton-esque general, Rocky gangster, dopey henchmen. The background music is the classical Hungarian Rhapsody. I will bring Super Bad Hair Day books to sell. My latest shipment (fixing a typo and a little mark on the cover art) came in yesterday. The Intellecta Rhapsody script is in the book. Thank you, Mighty Mike McGee (open mic host with the most!) for having me as a headliner. I’ll try not to let it go to my head. Mike will pay for my dinner that evening. Now, where’s my star on Hollywood Blvd? Two book sales for me on Saturday! 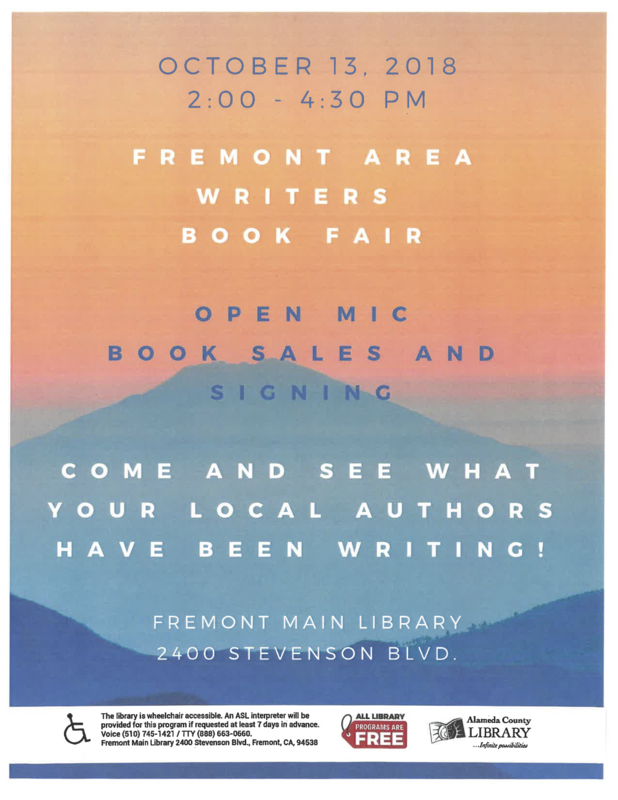 Oct 13 2-4: Fremont Area Writers Book Fair at the Fremont Main Library, 2400 Stevenson Blvd, Fremont, Ca. I will also do an open mic reading. 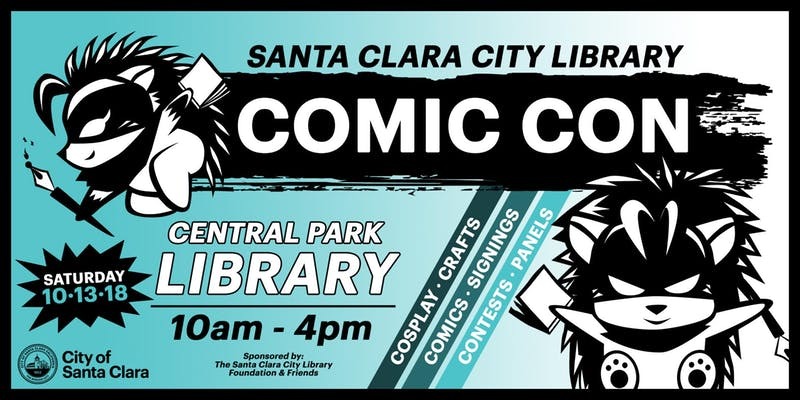 Oct 13 10-12:30 or 1: Santa Clara City Library Comic Con, 2635 Homestead Road, Santa Clara, CA. Had a GREAT open mic last night! I was at Red Rock Coffee in Mountain View for the Monday open mic, and I read part of my current story starring Kittygirl (Katsuko Kimura, who has super kittycat powers, and who loves Super Holly Hansson, and Super Holly loves Katsuko every bit as much). In this story, an EEEEEVIL villain, whose voice I based on Simon Bar Sinister (I love doing his evil laugh! ), hit Super Holly with a time gun and turned her into an eight year old girl. Holly did not have superpowers at that age, but she was still a spitfire and proved it by breaking the villain’s nose with one punch. Anyway. The crowd really loved the reading, I got laughs (like when Little Holly did a taunting Cyrano-type speech to distract a big-nosed, gun-toting henchwoman), and appreciative cheers (like “Ooo!” when Kittygirl knocked out said henchwoman). I am a writer, and I am a performer. Expect more audio files. I love open mics! P.S. At a writer gathering this evening, one of the writers read a pirate character, and did a great job. He said I had inspired him with my readings. I think I want a pirate-type character in a Super Holly story. Not sure about hero or villain, or even male or female. But I love reading pirate characters, like I did for Sulu’s Gay Trek. 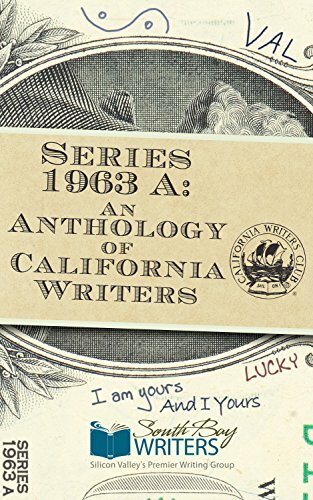 Time change for my reading at the Palo Alto Local Authors Event! 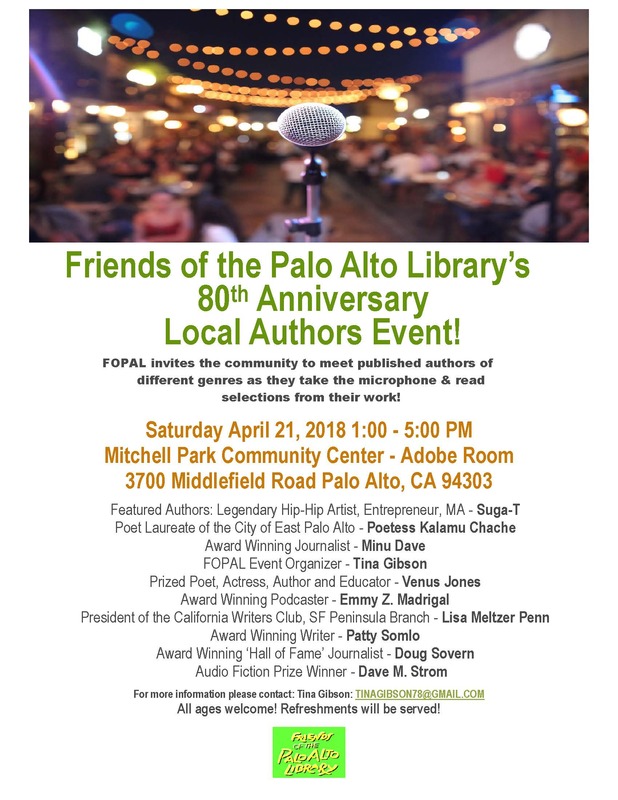 At the Friends of the Palo Alto Library Local Authors Event, I will be reading one of my audio stories (like at my open mics) at 4pm; I lean toward “The Intellecta-Rhapsody!” I will also sell my book and give away my little 8-page book (The Little Green Man!). The event is tomorrow, April 21, from 1-5pm at the Mitchell Park Community Center on 3700 Middlefield Road. I blew up a puppy! At an open mic a couple weeks ago, a lady liked my performance enough that she asked me to perform at her daughter’s birthday party. 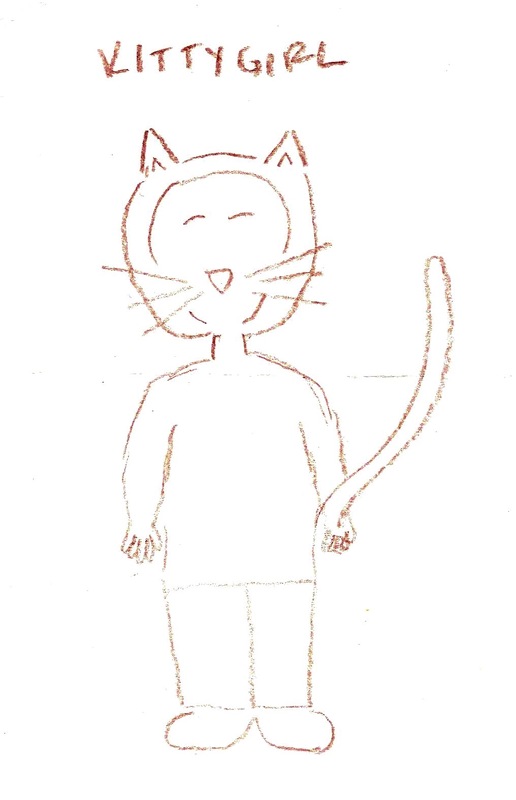 So I’m writing (now editing) a short story starring Holly’s cute little fangirl Kittygirl (the eight year old with kittycat powers). I titled the story, “The Sinister Sugar Rush!” Here is an excerpt. Super Holly hugged herself, trying to slow down, but she still vibrated like a paint shaker. But the puppy gobbled up the cupcake! It squirmed into a blur, went “ARFARFARFARFARFARFARF,” and blew up: POW! That’s right, I blew up a puppy! MOO HAHAHAHAHAAA!!! 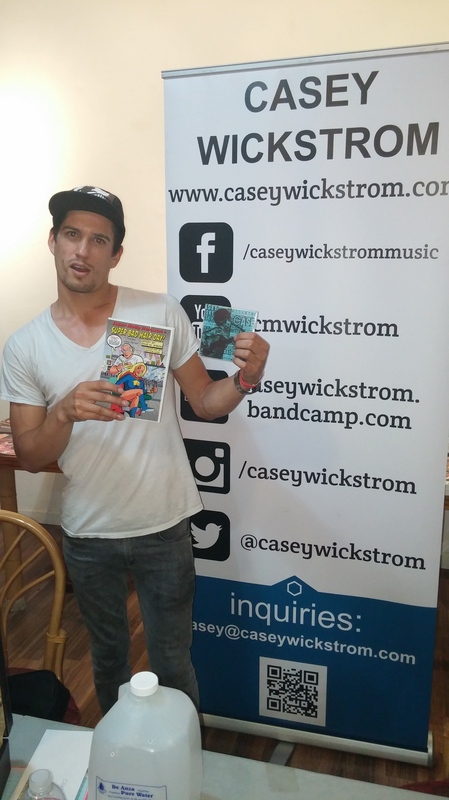 My friend Casey Wickstrom is doing a Kickstarter to help him create his next album, click here to check it out. If you like great guitar and a great singer, consider a contribution. Your ears will thank you forever. Casey loves Holly, Casey loves Holly! I saw my friend Casey Wickstrom perform last Friday at the Art Boutiki in Santa Clara. He played several guitars, including an awesome guitar box guitar. I gave him one of my books. I have his music, and recommend you try Blues Song #666, Surf Zombies, and his Folsom Prison Blues that Johnny Cash would approve of. I got to know Casey at open mics at Red Rock Coffee and other places. Casey says Holly is hot, and says rather directly what he’d like to do with her. I keep telling him she already has a boyfriend. Holly would love his music.